We are currently in the process of receiving Building in Faith financial commitments to pay for the new Fellowship Hall. We expect construction to begin in the near future. Check out the pictures below from our November 8, 2015 Groundbreaking Service. This entry was posted in UHBC Facility Update on December 23, 2015 by catherinenorkett. During our church conference last Wednesday evening (9/30/15), we committed to a contract for construction of our new Fellowship Hall! We approved expenditure of up to $1,500,000 for the construction project. Construction should begin very soon! Hopefully, the dirt will start to move within four to six weeks. Lord willing, a year or so from now we will dedicate and start using a spacious and beautiful new Fellowship Hall! Now that we have a construction contract and are preparing to move forward, you will have the opportunity to meet and interact with our builder. This Wednesday, October 7, Jeff Whittle will be with us for a 6:15 p.m. session in the Worship Center. Jeff is the President of the Ecclesia Construction. Ekklesia is a Greek word that appears often in the New Testament. It is translated “church” in our English Bibles. Jesus said “I will build my church” that is, His ekklesia. The word means “gathering” or “congregation.” The church is God’s people gathered for His glory. Our new Fellowship Hall will be a place for God’s people, His church, to gather for His glory. Jeff will speak with us about himself and about his business. He’ll share about how the business came about, his relationships with his employees and his professional and faith commitments. We also expect to have time for questions and answers. Jeff will be working with us steadily for the next year or so! This will be a great time for you to get to know him and begin praying for him, his crews, and the work that is to come on our new Fellowship Hall. This entry was posted in UHBC Facility Update on October 2, 2015 by catherinenorkett. We have completed the payoff of our Worship Center debt! Money that was going towards our monthly payments is now going into our new Fellowship Hall building fund. This entry was posted in UHBC Facility Update on July 9, 2015 by catherinenorkett. On Wednesday, April 15, in a special church conference, we made two big commitments—one to start something and another to finish something. 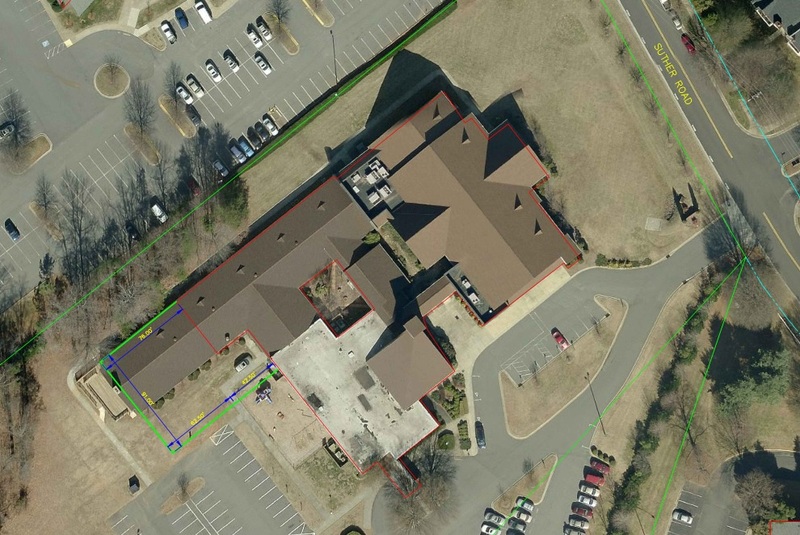 We voted to move forward in developing the formal design for our new Fellowship Hall facility. The design process will probably take about three months or so. When the design recommendation is complete, our church family will go through another approval process after which construction will start. We don’t know yet when the first shovel of dirt will turn, but in a sense, we’ve crossed a starting line! We’re also getting ready to cross a finish line. In the church conference, we affirmed using funds on hand to pay in full the remaining debt on our current worship center. The payoff will probably be around $215,000. This will bring us to the end of a long road that University Hills has faithfully travelled. I have a 2006 memo in my files from UHBC’s “A Place to Grow” Campaign Committee. This committee led the church in her first five years of giving to pay for the worship center. The memo shows that in 2006, our church had already given $808,000. At that time, we had a remaining debt of just under $1,500,000. Since 2006, we have retired nearly $1,300,000 of debt. Now, God is enabling us to cross the finish line by finally and fully eliminating the Worship Center debt! This entry was posted in UHBC Facility Update on April 27, 2015 by catherinenorkett. The rebuilding committee is finalizing the concept phase of the design and kitchen needs. The committee will hopefully bring the proposal to the church by the end of the month. Below is a picture of where the building will go. This entry was posted in UHBC Facility Update on February 6, 2015 by catherinenorkett.